Brad is a member of the Illinois Bar Association and the National Lawyers Association. He is a member and past President of the Morgan County Bar Association. He is on the board of directors for the Jacksonville Area Chamber of Commerce, the Murrayville Community Foundation, the Illinois Agricultural Auditing Association, and the Murrayville United Methodist Church. He currently serves as the Division Vice President for the Agri-Industry Division for the Jacksonville Area Chamber of Commerce and is Chairman of the Endowment Committee for the Murrayville United Methodist Church. 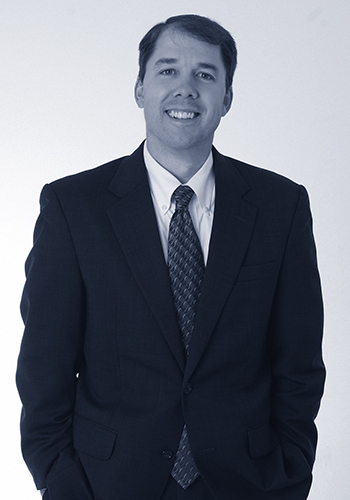 In addition to his law practice, Brad is active in his family’s farming operation and is one of the co-owners of Morgan County Abstract Company, Cass County Abstract Company, Scott County Abstract Company, and Menard County Abstract Company. Brad lives in Jacksonville with his wife and three children.